Lenovo unveiled its gaming laptops Legion Y720 and Legion Y520. 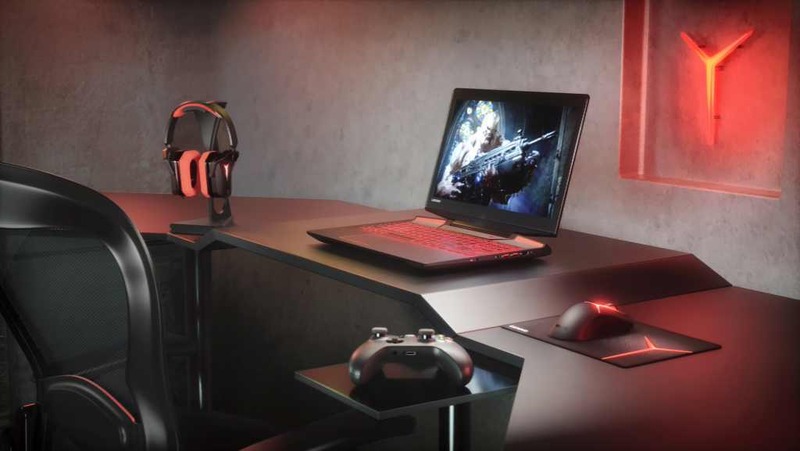 The Lenovo Legion laptops will come with the latest NVIDIA GeForce GTX 1060 6GB DDR5 graphics cards and Intel’s latest 7th Gen Core i7 processors. The laptops also include 16 GB DDR4 memory and High-quality UHD (3840 x 2160) IPS anti-glare display. Apart from that, The laptops bring World’s first Windows-based Dolby Atmos PC1 with two 2W JBL speakers and a 3W subwoofer. VR-ready with up to NVIDIA GeForce GTX 1060 6GB DDR5 graphics. World’s first Windows-based Dolby Atmos PC1 with two 2W JBL speakers and a 3W subwoofer for incredible sound. Thunderbolt 3, the fastest port available on a PC today to plug and play at lightening speeds and the option of an integrated Xbox One Wireless controller, which is able to support up to four controllers simultaneously for gaming with friends. High-quality screen resolution with up to UHD (3840 x 2160) IPS anti-glare display. An optional RGB keyboard for more precise gaming in the dark. 16-inch FHD (1920 x 1080) display for an amazing visual experience. Immersive Dolby Audio Premium sound with two 2W Harmon Kardon speakers. Optional red backlit keyboard for gaming in the dark. The Lenovo Legion Y720 Laptop starts at $1,399.99, and will be available beginning in April 2017. The Lenovo Legion Y520 Laptop starts at $899.99, and will be available beginning in February 2017.